We are closing in on the conclusion of the 2018-19 NFL season rapidly with Championship weekend and capped off with the Super Bowl two weeks later, which thankfully means we won’t be hearing anything about Colin Kaepernick in about a month. 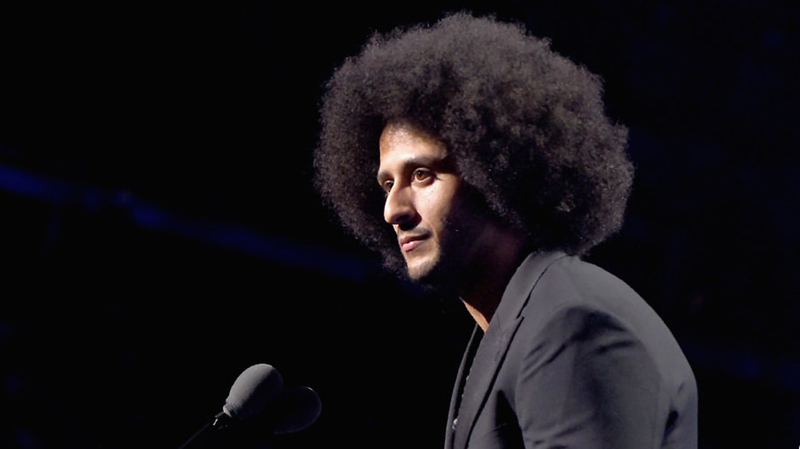 In the meantime, however, Kaepernick is still making headlines like with all of the musicians who have reportedly refused to headline the halftime show out of protest of the league’s “treatment” of the former 49ers quarterback. But he just made the news again when a new poll revealed a shocking statistic about how pro football players feel about him. Whether you like it or not, there is an obsession with Kaepernick, no matter your political affiliation, because some people are deeply offended by his divisive tactics while others praise them. It’s just the reality of the situation even if you’re sick of hearing about a guy who hasn’t played a single snap in the NFL in over two years. And it actually seems like his camp concocts some of this national publicity to keep his name and persona in the national media spotlight. For instance, Kaepernick’s lawyer, Mark Geragos – who oversees his collusion case against the NFL – has said on multiple occasions that his client would be on a team really soon. In September, he said that either the Dolphins or Raiders would contract him the following week. It never happened and he has a residual history of saying outlandish stuff like that. But his name keeps popping up over and over; it’s hard to say that it isn’t by design. For instance, the online sports publication, The Athletic, recently and randomly put a poll amongst 85 NFL defensive players asking if Kaepernick deserved to be playing in the NFL. The survey revealed that 81 of 85 players believe that he should be playing the league, while two said “no comment,” which leaves two players who felt that he shouldn’t be playing at all. Sports Illustrated noted that players like Blake Bortles and the Raiders newest quarterback, Nathan Peterman, whose touchdown to interception ratio is 1:7, shouldn’t even be considered over the embattled quarterback. What’s interesting about the statistics revealed in this report isn’t that 95-percent of players felt that Kaepernick should be playing but it’s the other four that either said “no comment” or didn’t think he was an NFL quarterback. Is it possible that these four actually felt that he wasn’t good enough or was it politically motivated? Maybe they truly had a problem with his divisive anthem kneeling and that was ultimately their justification. The study, unfortunately, didn’t reveal that although The Athletic should have absolutely asked that question because the question of whether he’s truly being blackballed or if it’s a rationale that he just wasn’t good enough does make a difference. It’s saddening that the study was anonymous, although, for the sake of their careers it’s probably best that they didn’t reveal which players participated in the study. Can you imagine the liberal backlash against those four players if they did reveal that? It’s hard to target defensive players on the field but there’s no question that their NFL colleagues would shame them all the time. Not just opponents too, imagine what it would be like to be inside of the locker room with their teammates who support Kaepernick’s conquest whether they kneel or not? You better believe those Kaepernick empathizers exist in all 32 teams’ locker rooms. The real question is why did this even matter to The Athletic? Why keep rehashing the same nonsense over and over again?